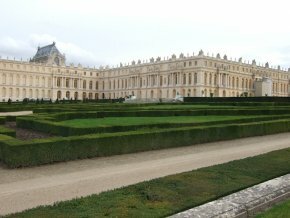 14/11/10 – Museums – Versailles, Etablissement public du château, du musée et du domaine national – Last Wednesday the Conseil de Ministres examined the new statute for the public establishment of Versailles prepared by its current president Jean-Jacques Aillagon. We were able to obtain a copy of this project some months ago and described it in an article posted on 3 May 2010. The decree, dated 11 November 2010, and published in the Journal Officiel of 13 November, confirms the definite decline of the “Directeur général” of the public establishment, the title no longer existing, and the creation of an “Administrateur general” who will now be second in command after the president who will retain all, or practically all, the power. The Directeur général has been downscaled and now becomes simply “Directeur du musée national des châteaux de Versailles et de Trianon”, meaning he will be in charge of the museum only and nothing else. Jean-Jacques Aillagon had reassured us (see news item of 26 July 2009) that this would not in any way modify the prerogatives of the director and his mission, that it was simply a question of adapting the title to the actual function. This is, of course, entirely false. True, some minor improvements have been added to the original project, but they do not affect the heart of the problem. The initial plan, which we had denounced here, stipulated that the Directeur général should be appointed for a three-year term, renewable only twice more, whereas the president would serve for five years, renewable indefinitely on a three-year basis. The new statute opts for the second system in both cases. The rest has been officially confirmed. Theoretically, the president can still delegate (except for three missions) his signature to the director. But a delegation of signature is not a delegation of power. Previously, the director “assisted the president in his duties and, in this capacity, [could] receive full delegation to ensure the management of the establishment’s services”. The new statute (art. 19) now provides that the Administrator, and only he, may “ensure, by delegation from the president, the management of the establishment’s services”. The director no longer assists the president in his duties. The president “presides and directs” (as if anyone would expect otherwise). The director cannot summon or preside the board of directors anymore. The president has full power, because before the board of directors could meet at the request of the Directeur général des patrimoines, the directeur du patrimoine, the directeur général de l’établissement or of at least one-fourth of its members. From now on, only the Directeur des patrimoines can call for a meeting, or one-third of its members (art. 14). In the same way, now (art. 17), the president “establishes, while respecting the policy defined by the board of directors and after consulting the Conseil scientifique, the program for cultural and scientific activites and the establishment’s publications”. Since he cannot summon a meeting of the board of directors, the director can no longer oppose any policy which would run counter to museum ethics. The Administrateur is no longer, even in the case of “questions depending on the director’s skills”, under the latter’s authority, as was the case before ; however, the Administrateur presides over the board of directors if the president is absent or cannot attend for any reason. He is now the real number two at the head of the establishment. The organizational chart is in fact the same one we had outlined in our previous article. Finally, as originally planned, the Conseil scientifique (art. 20) is “scientific” only on paper since half of the members need have no specific background in art history. Here then is how Jean-Jacques Aillagon, with the complicity of the Ministry of Culture, has just diminished the authority of art historians at Versailles even further, by depriving the chief curator of his most essential prerogatives. This should not really surprise us since he had already done the same thing at the Musée national d’art moderne when he was president of the Centre Pompidou. In the future, two administrators, from the ENA or elsewhere, can run Versailles anyway they wish, without the indispensable counter-balance needed from art specialists.